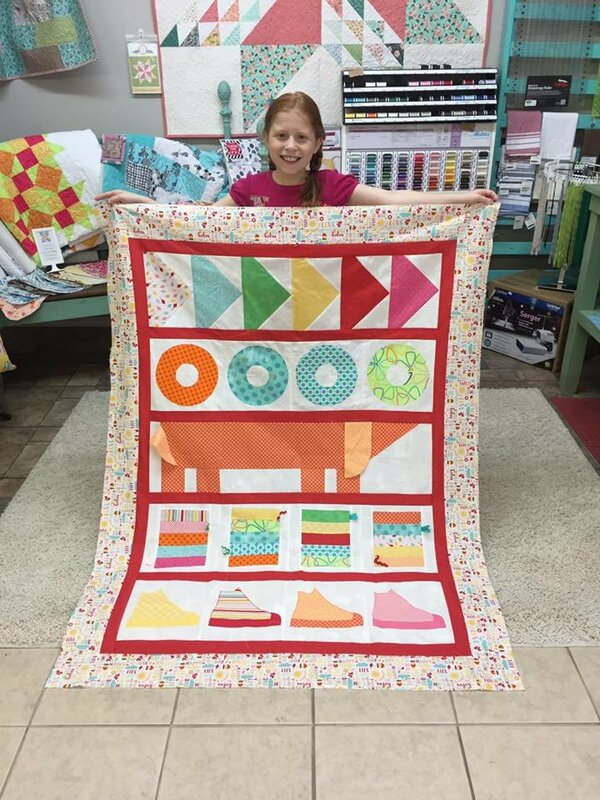 Two Chicks Quilting offers Beginner Sewing and Quilting classes for all ages. We have a unique approach to teaching sewing classes. Our sewing studio is fully stocked with all machines and supplies you will need to learn to sew. We have some set classes but most of our classes are planned around our customer’s wants and needs. Contact us to plan your sewing experience!! Beginner Sewing classes for both adults and kids: It is usually set up over three two-hour sessions. Session One teaches basic sewing terminology, machine parts and basic operation, and safety, and we complete a simple project. During Session Two and Session Three we make projects chosen by the customer from things like pillowcases, zipper bags, grocery bag holders, decorative pillows, etc. 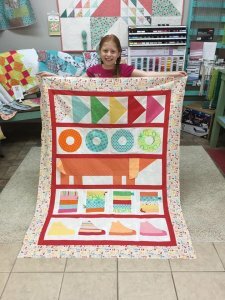 Beginner Quilting: We teach you how to read patterns and understand quilting terminology and walk you all the way through making you first quilt. There are NO "Quilt Police" at Two Chicks.... we all were beginners at one time and we will work with you until you are comfortable quilting on you own. Open Sewing is offered on a regular basis and you are welcome to bring your project to the shop during these times and take advantage of our large cutting tables to work on your project. Project Classes are offered by request. Do you have a project you would like to make but need a little help learning how to make it?? Let the Chicks help! Most basic projects can be done in one or two classes so gather a few friends or let me know and I will advertise to fill the class. ​Advanced Quilting Workshops are also planned with guest instructors. Contact Two Chicks Quilting for upcoming events. Birthday Parties: Perfect for little girls who want a different type of birthday party. Each child will make a project, such as travel pillowcases, to take home afterwards. Baby Showers: Super cute for that mommy-to-be who is having their second (or more) child but friends and family still want to "shower" her, or if the family just wants to do something really special for that first time Mommy to help decorate the nursery with some handmade items. We can make burp clothes, bibs, nursery decor such as rag garlands, or even a quilt for her! Wedding Showers: Perfect for a bride-to-be, whether it's her bridal party throwing her a shower or her family wanting to spend some time with her. We can make decorative kitchen towels, cool throw pillows, or go together and make her a quilt. Girls Night Out: For your close group of friends that enjoy doing something fun and different. Great for Church ladies groups, best friend groups, mom and daughters/daughters-in-law and other family groups. Girls Night Out can be planned around your needs and multiple projects can be chosen from. Kids Camps: We offer multiple types of Kids Classes and Camps. We offer Project Classes that are two three-hour sessions as well as our Sewing Camps that we provide during school breaks that meet for two to three hours for several days in a row. If you're interested in getting on the list for upcoming Kids Camps, please contact us today to sign up. We have limited number of spaces available and they fill up quickly.